I’ll just come out and say it, I thought I was going to hate this book. I checked it out from the Library for the sole reason that I needed a new audiobook for my commute and this was the only one on the YA shelf that I hadn’t already read. I was seriously surprised when I ended up not only enjoying the story but loving the narration by Emma Galvin! 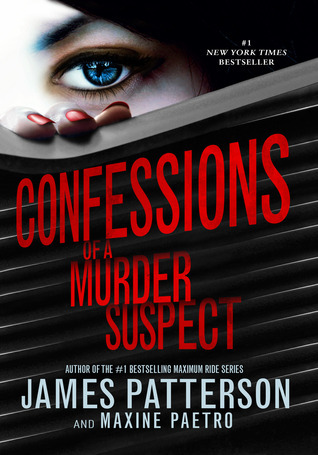 Confessions of a Murder Suspect begins with the murder of Malcom and Maud Angel, two of New York’s elite. I thought this was your basic closed room murder. The Angel’s were murdered in their bedroom and the only people that were in the locked house were their children, so you were instantly suspicious of all of them. I thought the tension was great in this story and although there was a limited cast of characters who could have committed the murder I didn’t have it figured out until near the end. This story is told from the perspective of Tandy Angel. She is a middle child and, since her older sisters passing, is the only girl. Tandy is smart, intuitive, and I liked that after she took on the task of solving the murder she never stopped questioning if she could have been the one who committed the crime. I also liked that she occasionally addressed the reader. I have seen this done in other books and it kind of weirded me out and took me out of the story. In this situation it further drew me in and did make me like Tandy more. Emma Galvin did a wonderful job narrating this novel. Her reading speed is just right and I loved all of the tension she created. This is my fourth audiobook since starting library school (in September) and she has been my favorite narrator so far. I am definitely going to seek out more audiobooks read by her. Overall, Confessions of a Murder Suspect surprised me in a good way. I enjoyed the tension in the story, the characters, and especially the narration. I actually enjoyed it so much I’ve already requested the next Audiobook from the Library. Fingers crossed that the sequel is just as good as the first! I listened to the audiobook of this and that is what sold this for me as well. If I had read it physically I doubt I would've enjoyed it as much.